Puffy sleeveless coat with girly detail and a warm fleece lining. 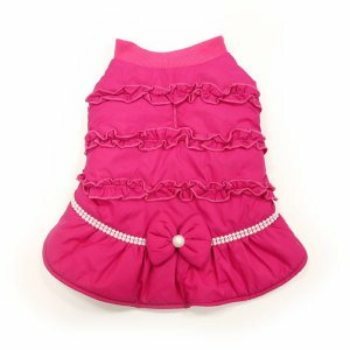 Highlights on this pretty pink dog coat include multiple ruffle layer trims, bowtie, and skirted a bottom. 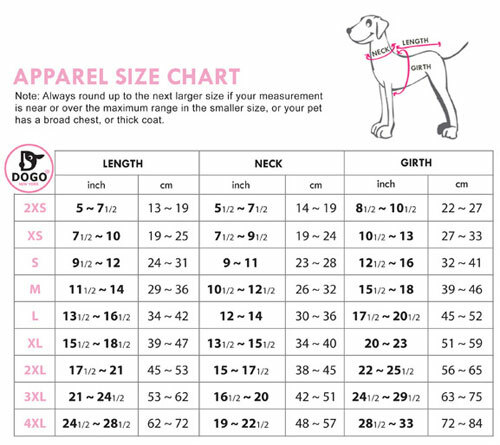 Dogo's new style girl dog coat has a velcro closure and leash hole. Available in sizes xs - 2x.